Hey there sports fans! 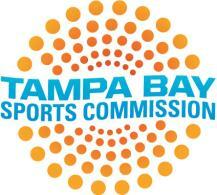 It&apos;s the Tampa Bay Sports Commission delivering the play-by-play action and keeping you all updated on what is going on in the sports world around the Tampa Bay area. Here you will see the latest updates of what we are planning and even ways for you to get involved in the excitement! Be sure to subscribe to my RSS feed (link to the top right) and be notified of my latest blog posts. Feel free to provide feedback to the topics covered in this blog so that we can continue to make Tampa Bay the premier sports destination in the country! Also check out our website www.TampaBaySports.org! Until next time, have a great day and check back for more updates!